Priyadarshan who has just recently met with a huge commercial success in the form of his Malayalam film Oppam is now ready with his Tamil film, Sila Samayangalil (sometimes). Incidentally this marks his return to Tamil cinema after the well received Kanchivaram (2008) and also seems to be in the same space and unlike most of his films which are commercial entertainers. Produced by Prabhu Deva, Isari Ganesh and Alagappan, the film has music by Ilaiyaraaja while Sameer Thahir is the DOP and Beena Paul is the editor. 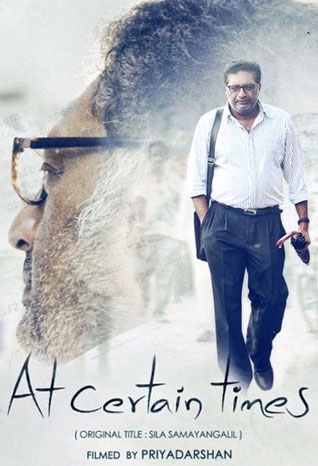 Sila Samayangalil features Prakash Raj, Ashok Selvan, Shriya Reddy, M.S.Bhaskar, Nassar etc and is scheduled to play during the ongoing JIO MAMI 2016 film festival.